WASHINGTON (Reuters) - The U.S. House of Representatives began moving toward tighter gun regulations on Wednesday, holding the first congressional hearing in years on how to stem the epidemic of gun violence that claimed the lives of nearly 40,000 Americans in 2017. 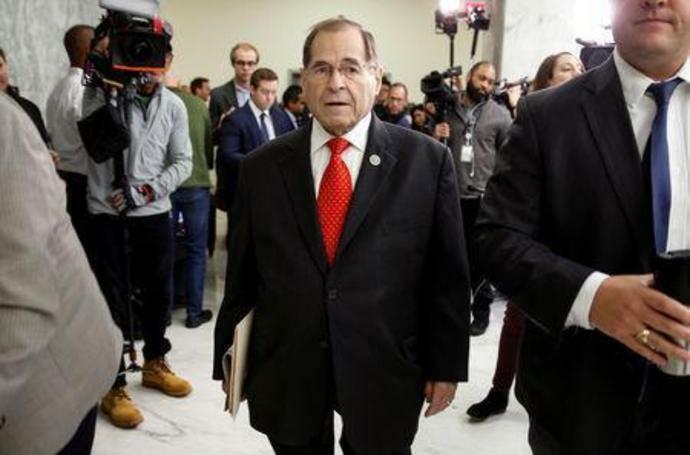 The Democratic-led House Judiciary Committee focused on a bipartisan bill called the Bipartisan Background Checks Act, which would require background checks for all firearm sales and most firearm transfers. It has 230 House co-sponsors, including five Republicans. "Despite the obvious need to address the source of gun violence, Congress, for too long, has done virtually nothing. But now, we begin a new chapter," said Judiciary Committee Chairman Jerrold Nadler, a Democrat. Democrats won control of the House in the November elections after eight years of Republican rule, partly because of public frustration over the inability of Congress to address a growing number of mass shootings at schools and other public venues. Wednesday's hearing took place a week ahead of the first anniversary of the mass shooting at Marjory Stoneman Douglas High School in Parkland, Florida, which claimed the lives of 17 students and staff and launched a national youth movement that has reignited the long-running U.S. debate over gun rights. But there was no sign that any gun legislation approved by the Democratic House majority would gain traction in the Republican-controlled Senate. Witnesses at the hearing also called for legislation to address gun trafficking between states, a ban against assault rifles, the repeal of a federal law that protects the gun industry from lawsuits, and increased funding for federal officials charged with policing the flow of firearms across the country. The U.S. Constitution protects the right of Americans to bear arms. The measure is fiercely defended by Republicans, who on Wednesday warned that new legislation could lead to a national gun registry and claimed that expanded background checks would not protect people from gun crime. "The greatest cruelty in the world is to tell people you will help in their situation with legislation and then try to pass off legislation that would do nothing," said Representative Doug Collins, the Judiciary Committee's top Republican. "In legal terms, that's called fraud." Witnesses said the legislation would close loopholes exploited by online gun dealers and those who purchase guns for others unwilling or unable to buy their own. "This bill will definitely save lives," Houston Police Chief Art Acevedo told lawmakers. Of the close to 40,000 deaths from gun violence in 2017, the U.S. Centers for Disease Control and Prevention said in December that 60 percent were self-inflicted.